Plessey, a manufacturer of semiconductor products used in many applications including solid-state lighting, has announced it is a core partner in the world’s first biophilic design project. 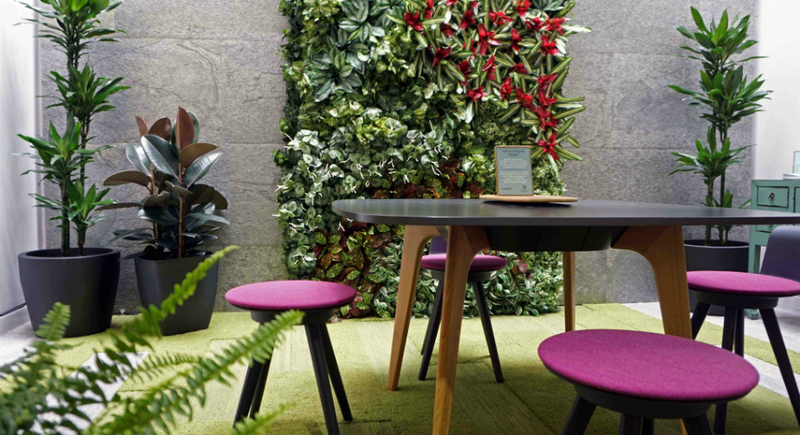 The ‘Biophilic Office’ is a ground-breaking office refurbishment project run by BRE, a building research organization. As one of several core partners on the project, Plessey will be using the Biophilic Office, as well as its own test facilities, to evaluate the office’s role in promoting the health and wellbeing of office workers, in addition to expanding research into this type of nature-centred design in general. Over a three year period, Plessey will contribute its expertise and knowledge in sensing and solid-state lighting technologies, which are commercially available in a range of Plessey’s products. Plessey’s Hyperion range was designed to provide supplementary lighting in greenhouses, helping to achieve increased productivity for growers while providing 40 per cent energy savings compared to equivalent 600W and 1000W sodium lights. Plessey’s Orion series of LED modules delivers new levels of design freedom to architectural and industrial lighting designers. “The project will show how quantified improvements in productivity and wellness can bring rewards for landlords, occupiers, developers and all those concerned with the office and wider built environment,” said Ed Suttie, research director at BRE, in a press release. “We believe this exciting new project will yield much valuable data and enable us to develop lighting technologies that are truly people-centric, where light levels can be adapted to suit human circadian rhythms,” added Dr. Keith Strickland, Plessey’s Chief Technology Officer.